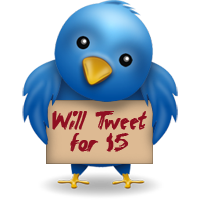 Buying Tweets: Is It Worth It? 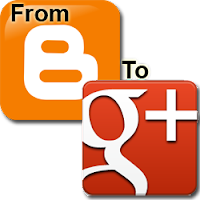 Over the years social media has become an important avenue to increase awareness and traffic to your site or brand. Twitter is one of the most popular. If, like most people, you don't have a lot of Twitter followers you hope that one day someone who does will tweet or re-tweet a link to your site. If you don't want to wait to get noticed you can pay someone to tweet a link for you. On Fiverr.com there are many people willing to do this for as little as $5. But is it worth it? I ran a little informal experiment, buying three tweets from three different types of tweeters to see what it's like. I also have experience with what it's like to get popular tweeters to tweet a link for comparison. Here's what I found. I started out this site with a free template that I found online. I prefer to do my own web design so my site isn't exactly like other sites, but sometimes with blogs I like to start putting content up first, then work on the design later. Using a free template is cheap and easy. Once there's some content on the site, and I've included the gadgets I'd like to use for the site, I like to create a new template from scratch. In this post I'll describe the process I use to create blog templates. 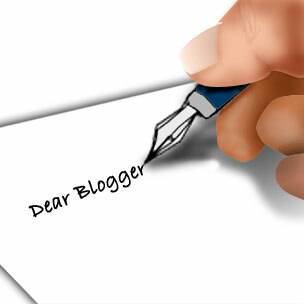 The process is similar for most types of websites, only the last section is specific to Blogger.com. If you want to change the Google account you've used with your Blogger hosted blog to point to a new email address there's really only one proper way to do it. You need to export your blog, use a text editor to change the author in the exported blog, delete all your existing posts, then import the newly edited file. You may want to do this if you've changed your email address after getting a custom domain name. Or if you've previously been using different email addresses for each blog and now want to consolidate all your posts under one account that is linked to your Google+ profile so you can get the SEO benefits of having a Google+ account and authorship. There are some hacks that only change the author in the template but since blogs can be accessed in multiple ways, including RSS feeds, it's important to actually change the author of the post, and not just what is displayed in the browser. In this post I'll walk you through the steps of how to change the author of each blog post. I'd like to share some of my thoughts about some of the things you've been doing lately and my concerns over the general direction you're heading in. You've created a great service and I appreciate the effort you've put into both making it freely available and making it better. You understand that there was a serious need to enhance Blogger reader's presentation and have done something really cool with Dynamic Views. Dynamic Views are a great leap forward. My issue is, it might be too big of a leap and I don't think the current Internet ecosystem is ready for it. You seem to have favored Dynamic Views rather than making minor yet significant enhancements to the current templating system which is in major need of updates. Updating the current template system to provide more options to template designers first, and building Dynamic Views on top of it by allowing the new Dynamic Views components to reuse the old Blogger tags would have been a better course IMO. Below I've tried to explain why I disagree with the current direction and give suggestions on how to improve the current Layout system. DomainTools.com is a website which provides technical information about other websites such as their domain name registration, directory listings, keywords, SEO score, etc. It is a very useful site if you're looking for information like that but are so many people online looking for that information it would rank as the 208th most popular site on the internet? 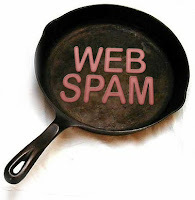 DomainTools isn't as popular as it's Alexa rank would imply but it does get a lot of visits and they manage to get many of their visits by scraping only the most important SEO related content from the over 100 million registered domain names without giving anything back to the sites they're scraping from. At one point they even had a close relationship with Google. Let's look at what's really going on. 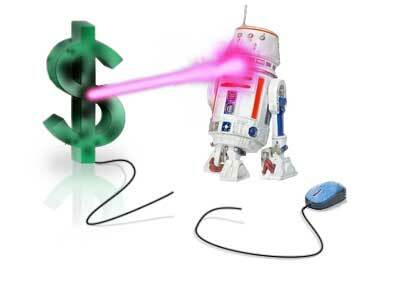 Ouch, that laser has a bit of a sting. After learning about Salty Droid through the Scamworld video and article, I visited his site and spent hours reading about what he's been doing I was really impressed. I really related to what he was doing and I started this site because I was sick of seeing some of the same things I think he was seeing. I'm not trying to put myself on the same level as someone that has tried to help the families of victims of people like James Arthur Ray, or trying to slap some sense into someone on an obvious path to self-destruction. I thought I had found a kindred spirit so I was really shocked at the reception I got when I left comments on his site. It took me by surprise that people were accusing me of being one of the scammers when I created this site to help people find ways to make money online without being scammed and without giving me money. I was to eager to express my interest and wound up doing something stupid.